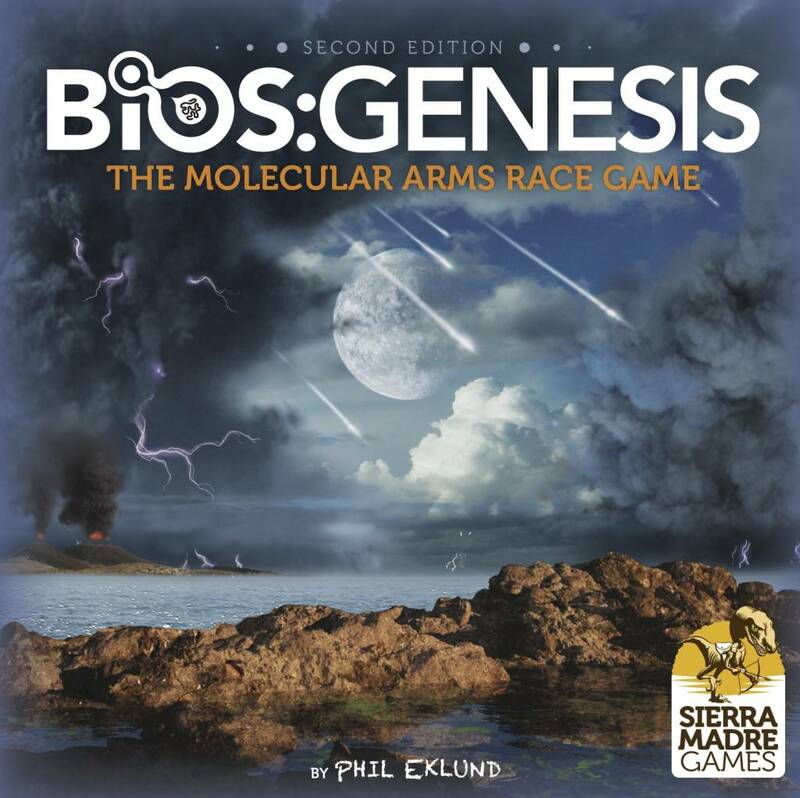 Compared to the 1st edition, there are components now for 4 instead of 3 organisms for each player, 100 new commissioned artworks, 68 page rules/ science background, & a folding player aid. 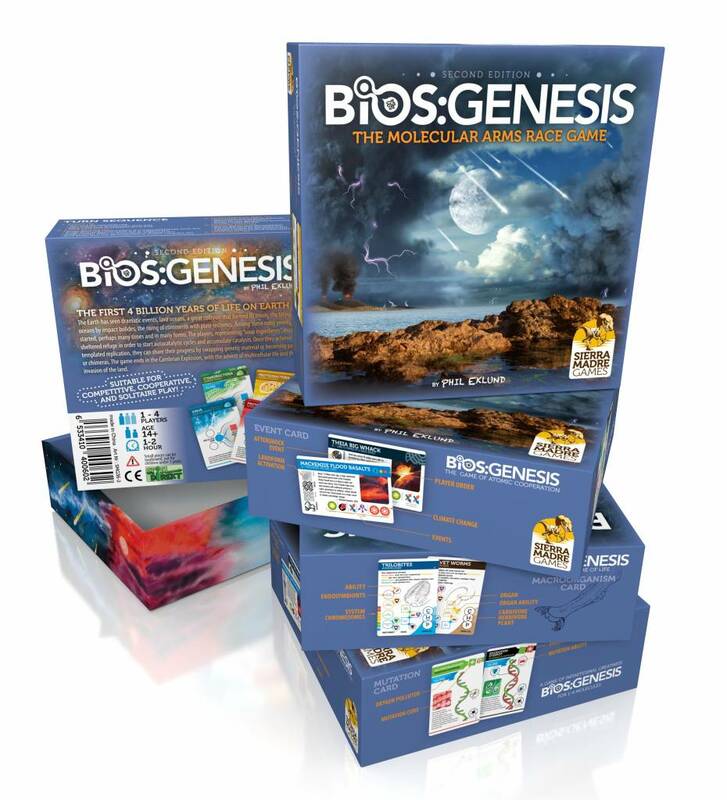 Note: If you own the first edition, a limited supply of upgrade kits are available. Vassal module by Stefano Tine. 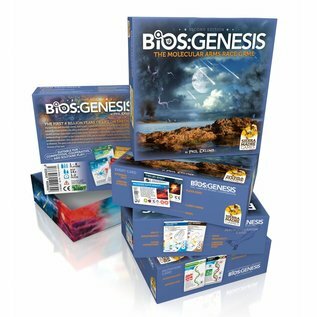 Read Jon F. Zeigler assessment of Bios:Genesis. 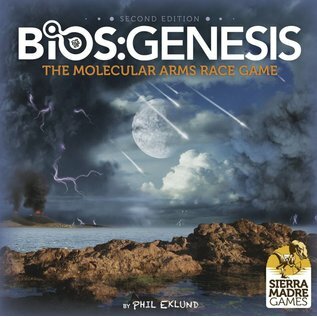 Playthrough of Bios:Genseis by Gray Board Gamer.